Teachers' day is observed in India on the birth anniversary of the second Indian President Sarvepalli Radhakrishnan on 5 September. 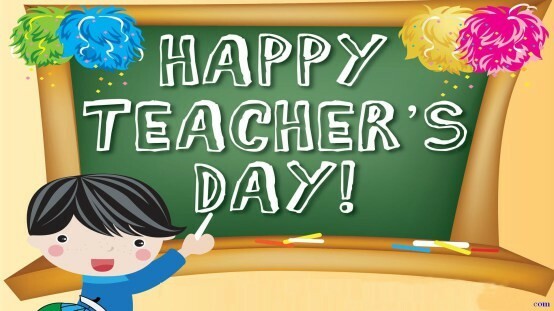 Teachers' day, observed to honour the contributions of teachers, is celebrated in India on 5 September every year. The day is observed in different dates in other parts of the world. The special day is celebrated in Armenia, Azerbaijan, Bangladesh, Bulgaria, Cameroon, Canada, Estonia, Germany, Lithuania, Macedonia, Maldives, Mauritius, Republic of Moldova, Netherlands, Pakistan, Philippines, Kuwait, Qatar, Russia, Serbia, United Kingdom on 5 October. The special day marks the birth anniversary of the second Indian President and academic philosopher Sarvepalli Radhakrishnan. As part of the celebrations on the special day, students conduct various programmes to thank their teachers. Dear teacher, Wishing you happy Teachers' Day. Thank you for being the guiding light and for inspiring me to do well in studies. You are the best teacher. For my sweet teacher, for all these years you have tried a lot in shaping many careers. I thank you sincerely from my heart and extend wishes for you. You have been a true inspiration and a great mentor for everyone in school. For instilling a love towards learning. You have always been very special for inspiring and guiding me throughout my days as a student. Thanks for being a my true mentor. 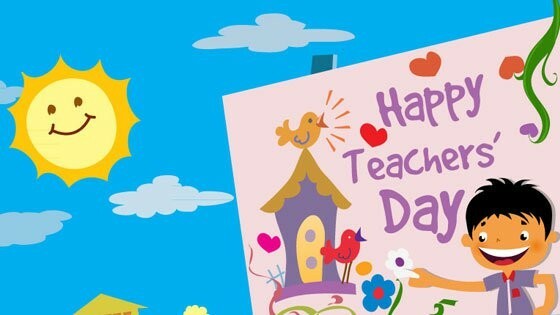 Wishing that this Teachers' Day be really special for you! I thank you, dear teacher – for being my strength and inspiration!